There are lots of different types of fasts: juice fasts, water fasts, bone broth fasts, detox cleanses, intermittent fasting, etc. When is fasting helpful vs. harmful? Why does one person feel better after fasting and someone else feel significantly worse? Can we predict this in advance? For people with autoimmune disease, is this something we should try or something we should avoid? My guest, Dr. Amy Nett, will be answering these questions and more. 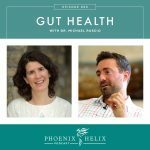 She's an MD at the California Center for Functional Medicine and will be sharing the latest research. Dr. Amy Nett is a medical doctor who works with Chris Kresser at the California Center for Functional Medicine. 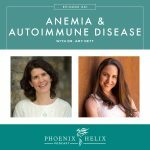 You can hear her personal story and learn more about her professional background in Episode 81: Anemia and Autoimmune Disease, which was her first appearance on this podcast. There's a new cookbook on the AIP Block: 30 Minute Meals for the Paleo AIP. It contains 120 recipes, and every one of them is a complete meal that can be mad in 30 minutes or less. And that includes both preparation and cooking time! If you want to keep up with what's happening on my blog between podcasts, subscribe to my weekly newsletter. 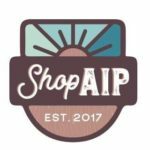 This weekend (8/24/18-8/26/18) is ShopAIP's one-year anniversary! To celebrate, everything in the store is 5-25% off, and there's also going to be a $700 giveaway with 12 winners. Simple definition of fasting: abstaining from food and calories. 12-hour overnight fast: normal eat/rest cycle for human health. Time-restricted eating: 14-16 hour overnight fast. Food is restricted to an 8-10 hour window. Intermittent fasting: 24-48 hours with no caloric intake, or a maximum 500-600 calories on the fasting days. This can be done on a weekly basis: 5 days eating and 2 non-consecutive days fasting. Periodic prolonged fasting: 2-10 days without food. This should be done under medical supervision. Fasting mimicking diet (FMD): seeks to gain the benefits of prolonged fasting while still being able to eat some food. It's a 5-day plan, with a maximum 500-600 calories daily and a specific macronutrient ratio. Prolon sells a prepared meal kit based on the macronutrient ratios used in the research, but these kits aren't paleo. A paleo AIP replacement would be 1 avocado 2x/day. This protocol is often done in 3 cycles of 5 days FMD followed by 25 days normal eating, repeated for 3 consecutive months. For intermittent & periodic prolonged fasting, there are a variety of choices: water fasting, juice fasting, bone broth fasting, and the master lemonade cleanse. One is not necessarily healthier than another. They are just different methods for achieving the same goal. 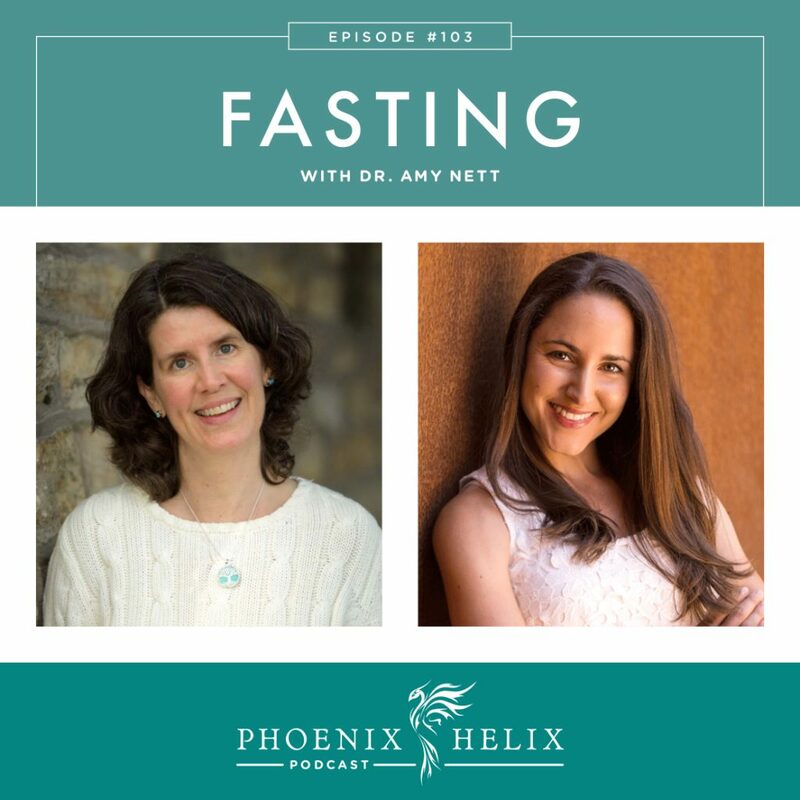 Dr. Nett also recommends minimizing medications and supplements during fasting, skipping the non-essential ones and continuing to take the essential ones. If you're on medication, consult with your doctor on this decision. All types of fasts give the digestive system a rest and have potential anti-inflammatory benefits. Time-restricted eating and intermittent fasting offer metabolic benefits: improved insulin sensitivity, lowered blood sugar, and a healthier lipid profile. Periodic prolonged fasting and FMD stimulate autophagy. This is a process of cellular renewal, where the body breaks down dysfunctional cellular components to make room for healthy replacements. Mitochondria are the powerhouses of our cells, and mitochondrial dysfunction is a root cause of many types of chronic disease. Many of the benefits of fasting actually happen after the fast, during re-feeding. This is where healthy stem cell production is stimulated to replace the damaged cells that have been removed. This can have particular benefit for autoimmune disease, potentially replacing the dysfunctional immune cells with ones that don't attack the tissues, while simultaneously stimulating regeneration of damaged tissue. Research in mouse models shows promising results for both Type 1 diabetes and multiple sclerosis. 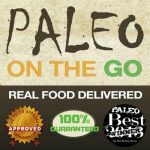 A frozen meal delivery service, with a large menu of items for the paleo autoimmune protocol (AIP). I take the meals with me on vacation, and keep a stash in the freezer for emergencies. On road trips, pack a small cooler with ice and your food for the day, and a larger cooler with dry ice and your food for the week. Use a Hot Logic with a car adaptor to heat up your food on the road. On plane trips, TSA allows frozen food through security for domestic US flights. I use an Ebags carry-on cooler which fits under my seat. It's large enough to carry some POTG frozen meals which I'll eat at my destination, and has pockets for shelf-stable snacks for the flight. Following the theme of this podcast, you can also fast on the plane. For more tips, check out my Travel series. Contraindication means “not medically recommended.” Fasting is contraindicated for insulin-dependent diabetics, unless under very close medical supervision. Fasting is also challenging for anyone with cortisol dysregulation (adrenal fatigue) or impaired detoxification (both are common issues for people with autoimmune disease). Addressing them prior to fasting is important. Also, Epsom salt baths during a fast can help gently support detoxification pathways without overloading them. If you have anxiety, prolonged fasting isn't recommended because any negative side effects could trigger the anxiety. If you are underweight, only fast under medical supervision. For people with a history of eating disorders, fasting isn't recommended because it can trigger old patterns. Lastly, be cautious during autoimmune flares. If you have experience with fasting being beneficial, you can experiment during flares to see if it's helpful. But if you're new to fasting, this isn't the time to begin. Fasting can put stress on the body and potentially intensify a flare. When first experimenting with fasting, begin with the basic 12-hour overnight fast. Once you are able to do that easily, try to extend that time by 15 minutes each week until you get to 14 hours for women or 16 hours for men. Once that becomes easy, you can experiment with longer fasts. Pay attention to how you feel when fasting. It's normal to have less energy the first couple of days, but if you experience feelings of sickness, heart palpitations, or tunnel vision, stop the fast. Dr. Nett tries to help all of her patients become comfortable with a 12-hour overnight fast, since that is beneficial to health in so many ways. Then, on a case-by-case basis, she might encourage experimenting with longer fasts. Case Study #1: A patient with metabolic syndrome (high blood sugar, high cholesterol, obese) completed a 7-day bone broth fast and saw dramatic improvements in his labwork. Coming off the fast, he transitioned to a healthier diet, and he's been able to maintain those improvements. She has many patients with metabolic syndrome who have achieved similar results. Case Study #2: She has two patients with autoimmune disease experimenting with a 5-Day Fasting Mimicking Diet for 3 consecutive months. So far, there has been no reduction in antibody levels, but neither patient has yet completed the 3rd month in the cycle. One of the patients did experience a reduction in joint pain. The research on fasting and autoimmune disease has only been done with mice; it's too soon to tell if the benefits will transfer to humans. However, Dr. Nett sees no downside in trying it and great potential benefit. Dr. Amy Nett is accepting new patients at the California Center for Functional Medicine.